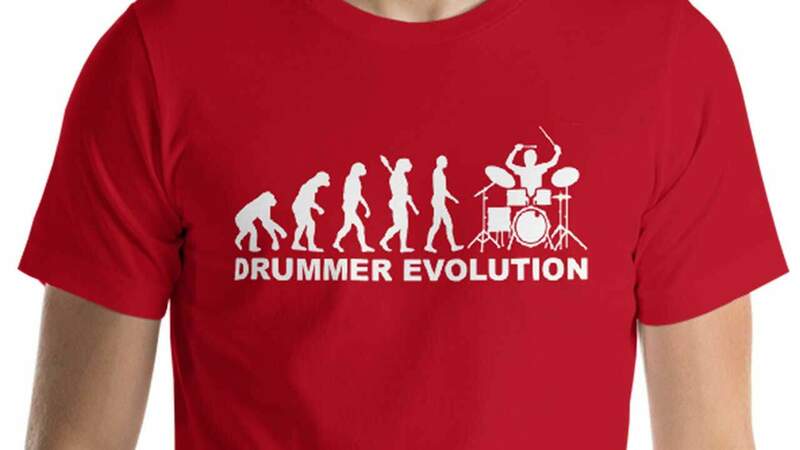 Who Invented the Drum Set? 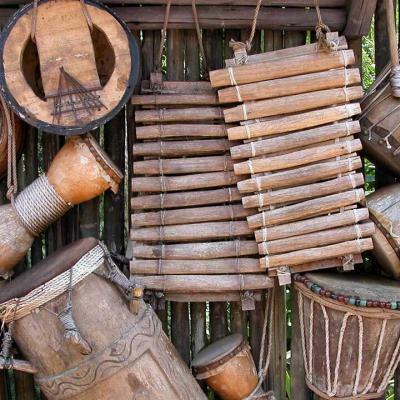 Percussion is a musical discipline that has been around for quite a while. It’s been used in operas and orchestras for literally hundreds of years. Modern drums were originally used by the military to keep the marching rhythm, giving soldiers a tune to sync with during training. He who invented a drum set for the first time has basically combined existing elements into an accessible and comfortable layout. But that’s still very far ahead. Originally, snare drums and cymbals were used by individuals, who were all playing the same tune. This was practical, since playing one instrument allowed them to keep in line with the other soldiers or marching bands. In time, though, the popularity of marching bands has really dropped. People probably got tired of trombone and trumpet music. A European man of the 13th century is the first who invented a drum set element—the snare drum. While the name of the man is unknown, the precursor for the modern-day snare drum was a wooden-body drum, fitted with a wire on the membrane to create a rattling sound. Still, percussion instruments usage wasn’t confined to marching bands and the military, since snare drums and cymbals are just the tips of the iceberg when it comes to the true percussion arsenal. 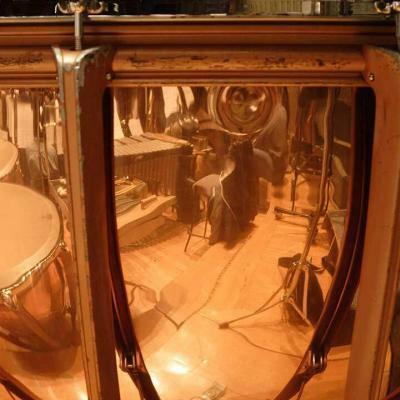 Timpani, for instance, is a big drum, made using copper cases and calfskin membranes and is used in orchestras. This sound differs a lot from that of the snare drum, as it acts a lot more like a bass drum, whereas the snare is more of a mid-range instrument. Timpani has also tuned instruments, so they can be adjusted to play different notes. Because of their dynamic range and a big presence, they’ve been largely used in orchestras. The instrument can be best heard and recognized in Carl Orff’s iconic first Act of Carmina Burana. As the music progressed, the industry has started focusing more on catchy, rather than impressive. Big orchestras were great for hymns and monumental masterpieces, but these are hardly useful in playing rudimentary songs, meant for casual listeners. While there were a lot of different percussion elements and instruments, it was very impractical for one to fit big elements, especially bass drums, into a single kit. That being said, a lot of people felt the need for a compact percussion kit to fit into modern day bands of the time. The 20th century has started treating already-existing musical instruments in an unconventional way. One of the best examples of this is the bass viol, which is clearly meant to be played by using a fiddlestick. But the continuous bass sound wasn’t in line with the current vision, and modern bass lines started developing into more of a rhythmic element, rather than a truly musical one. To adjust to the industry, bands started to quickly gain popularity in the modern world, as opposed to orchestras. Jazz, for instance, is one of the first genres of music that recognized the importance of percussion instruments in bands. Jazzmen have started to see that the bass viol bassline could be complemented by a percussion element. In the early 20th century, a man with a vision managed to solve the biggest problem that was stopping musicians from making a drum kit — an easy solution to integrate a bass drum into a somewhat compact drumming kit. In 1909, William Ludwig invented the bass drum pedal. This is a chain-action accessory that allows the musician to hit the center of the membrane with a stick without being awkwardly positioned. In the span of 50 years, the music industry evolved more than in the past hundreds of years, the drum pedal being a not too modest contributor to the change. Percussion has since become one of the foundations of the modern day band. While jazz didn’t actually make much use of the bass drum, since it was too powerful for this mellow genre, it did bring the idea of a drumkit to the table. Other musicians merely noticed that a bass drum would vastly improve the overall tone of their music style. A lot of events have taken place over the 50 years that separate the invention of the drum pedal and the cultural explosion that has taken over the 1960’s. Elvis became a big cultural icon, bringing more fast-paced, blue-collar music to the mainstream. In doing so, he also popularised rock’n’roll, a cultural phenomenon which belonged to the African American community prior to the King. In the 1960’s, England has also seen a musical revolution. Due to the rapid shift in musical trends, The Beatles have gained a notorious reputation as one of the best bands of the world, something which wouldn’t have been possible 15 years before their time. Considered by some as being controversial, The Beatles have managed to improve the rock’n’roll genre even more, as well as the use of the bass drum. Over the next 20 years, the fact that the electric guitar, bass, and drums were basically a staple of any successful band has contributed to different variants of this basic setup, which resulted in a lot more genres. Metal, in particular, has made arguably the most use out of the bass drum. Because of the fast-tempo nature of metal songs, a lot of drummers have deemed one pedal as insufficient, adding another drum and pedal combo to the setup and playing blazing-fast rhythms which electrified crowds all over the world. Iron Maiden, Judas Priest, Metallica—all big names who further added start power to the drummer’s name. Today, instruments are still used in producing music, but not at the same extent. Technology has made an instrument of itself, with synthesizers slowly gaining ground over traditional bass and drum sounds. Today, rhythm is merely kept by lines of code highly-distorted sounds. Tech music is slowly gaining ground over the traditional band, which is the natural evolution of events in the music industry. That being said, the modern drum kit is still getting plenty of work, live bands being hailed as the true form of music over the world. Hip-hop, all genres of metal and even pop music use the drum kit, launching hit after hit, year after year. What Are Some Percussion Instruments For You to Try?